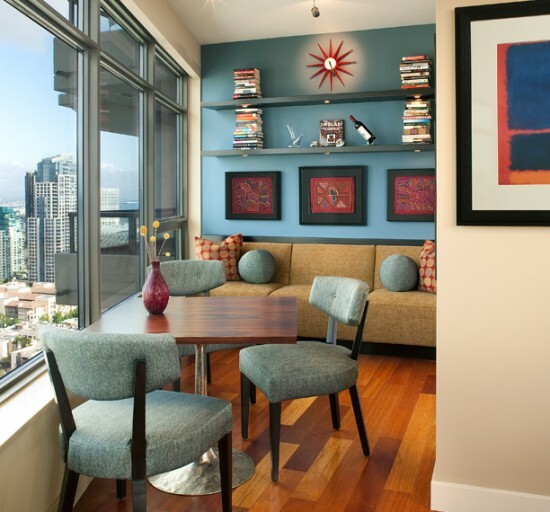 Modern interior design elements grace this dining area in a downtown San Diego condo. A Julian Chichester table with Caramelo side chairs from Adriana Hoyos complete a casual dining scene. For larger groups, the table and chairs can join the custom built-in banquette to double the seating space. 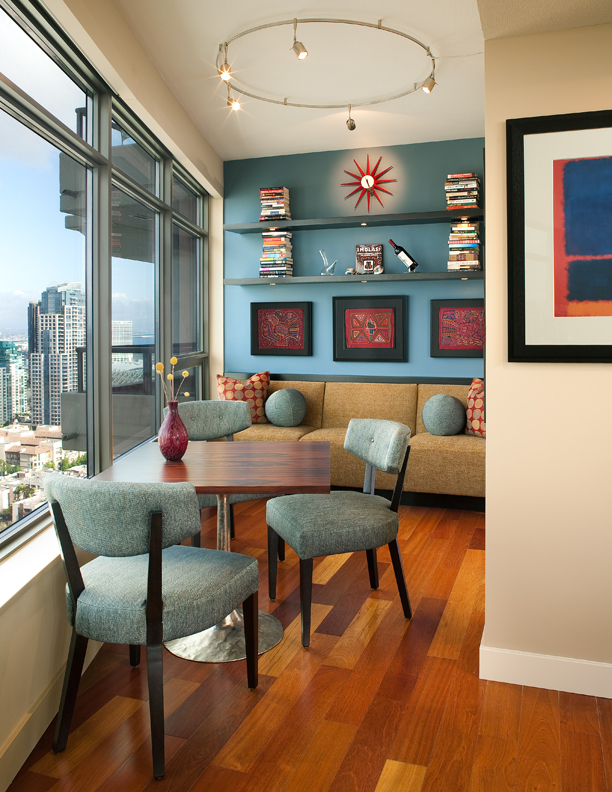 "Almond Latte walls with a Deep Sky Blue accent wall repeat colors pulled from three framed Molas pieces above the banquette. Sunburst clock by George nelson reflects mid-century style."